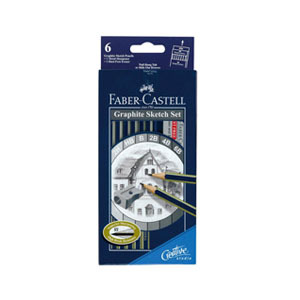 The Faber-Castell Goldfaber Sketch Set is the perfect pencil set for sketching. It includes one each of HB, 2H, 2B, 4B, 6B pencils, plus an eraser and a metal sharpener. Pencils are made from reforested wood so they contain no tropical rainforest wood.